- extraordinary in all respects. - it looks just like a photo. 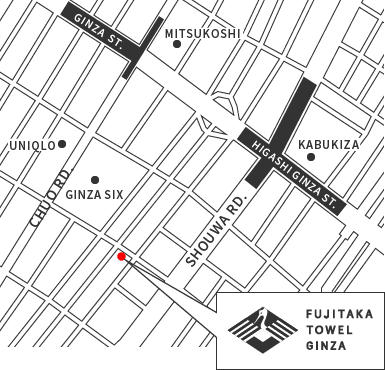 3 minute walk from Exit A3 of “Ginza Station” serving the Tokyo Metro Ginza Line, Marunouchi Line and Hibiya Line. *Please note that Exit A3 will be undergoing works from April 7, 2018, so customers are asked to use Exit A2 instead. 3 minute walk from Exit A1 of “Higashi-Ginza Station” serving the Tokyo Metro Hibiya Line and the Toei Subway Asakusa Line. FUJITAKA CO.,LTD All Rights Reserved.